Julian Setian, SOS International, LLC. Last year was one for the books for SOSi. The company grew by 50 percent and acquired STG Group Holdings, Inc., a leading provider of mission-critical technology, cyber and data solutions to the U.S. government. STG was SOSi’s third and largest acquisition to date. It effectively doubled its workforce and immediately placed the company in the middle of the government technology market. Now, in addition to providing mission-critical intelligence and logistics solutions to the national security community, SOSi delivers network operations and software solutions to customers ranging from the State Department to the Army. SOSi is the largest family-owned and operated government services business in the defense and aerospace industry. Founded in 1989 by Setian’s mother, Sosi Setian (the company’s namesake), the company has managed to achieve 20+ percent year-over-year compounded annual growth over the past 30 years. This achievement was accomplished without outside institutional investment and no small business set-aside contracts (until its acquisition of STG). Julian Setian, who has run the company for the last 17 years, attributes the company’s success to having hands-on leaders on the team who share his passion for the business, take nothing for granted, and strive to develop an intimate understanding of their customers’ goals and missions. The STG transaction and integration presented extraordinary challenges. STG had been trending negatively since its public stock offering two years earlier, and it had accumulated more debt than it could absorb. The company’s ownership structure also presented formidable obstacles. Setian and his team went into the deal with their eyes open and, in the end, their strategy and timing paid off. SOSi has won several contracts leveraging STG’s capabilities since purchase in the spring (a $55 million communications engineering contract with the Army being the most recent) and the company is projecting growth for the legacy STG portfolio for the first time in several years. 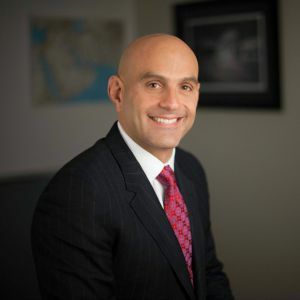 In 2018, Setian continued to surround himself with several of the industry’s leading executives. John Avalos and Mike Haney joined the company from Booz Allen Hamilton to assume the roles of chief operating officer and chief information officer; Michele Cook joined the company from KeyW to lead business development; and Kevin Bearden left GDIT to eventually lead SOSi’s software solutions business unit. SOSi also put several legacy STG executives into key leadership roles, a decision that proved critical to the integration. The company hired STG’s controller David Pearson, made Paul Rempfer, STG’s head of business development, its head of technology innovation, and retained Joe Nicholas as head of its network and cyber business unit. Finally, SOSi expanded its leadership team by adding a layer of leadership to oversee the company’s shared services functions, hiring leading executives from across industry and government to help scale the organization. SOSi’s future looks good. In one short year, it has paid off most of the debt it assumed from the acquisition. It met its organic growth targets and simultaneously scaled its infrastructure to address future challenges. Chances are high SOSi will complete at least one other acquisition in 2019, according to Setian. He expects to lock down several large re-competes, capture several key new contracts, and establish the company’s first technology innovation center to further develop unique data mining, artificial intelligence, and cyber defense technologies it currently supplies to the intelligence community. In 2019, SOSi plans to do more of what it has done over the past 30 years, according to Setian.